Apple's efforts to achieve a net-zero impact on the world's virgin fiber are paying off, as the company is now protecting or has created enough sustainable forestland to cover all paper packaging products. Late last week, Apple said the Forest Stewardship Council, a body responsible for creating eco-friendly forestry standards, certified approximately 320,000 acres of working forest the company is supporting in China, reports Xinhua. With the new certification, Apple is now protecting or has created enough sustainable forest to offset fiber use related to product packaging. The tech giant is further protecting virgin fiber by developing smaller package designs and increasing the ratio of recycled paper used in its products. According to an email from Apple, two-thirds of the newly certified forest is owned and managed by Maoyuan Forestry in Hunan province, while the remainder is managed by the state-owned Qinlian Forestry Company in Guangxi, the report said. A separate report from Environmental Leader notes the World Wildlife Fund worked with both Chinese companies to gain FSC certification by implementing forest management plans and training employees to identify High Conservation Value Forest. Apple's Chinese forestry program, accomplished in partnership with the WWF, debuted in 2015 as a commitment to create or transition one million acres of responsibly managed forest by 2020. The company points out its first goal, to increase responsible management of working forests by 300,000 acres, was reached in two years. "We found that the Chinese were willing to be wonderful partners, both on the private- and public-sector side because they have a real appreciation for the forest resource," Lisa Jackson, VP of Environment, Policy and Social Initiatives, said in a statement to Greenbiz. "We're finding that China is very fertile soil to grow green programs." 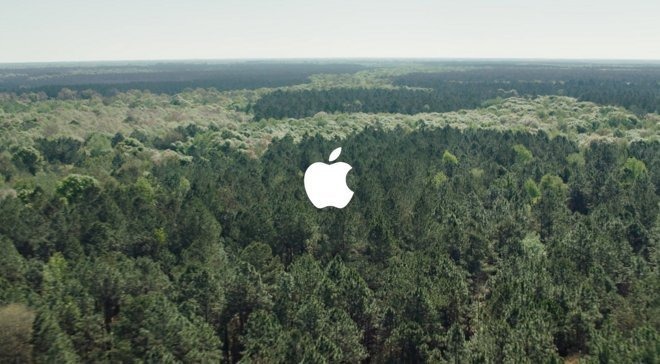 Apple's forestry initiative took root in early 2015 with the purchase of 36,000 acres of vulnerable forestland in Maine and North Carolina through The Conservation Fund's Working Forest Fund. In March, yields from the two states hit 100 percent carbon neutral. A year later, Apple began to apply pressure on its Asian supply chain to commit to clean energy agreements.